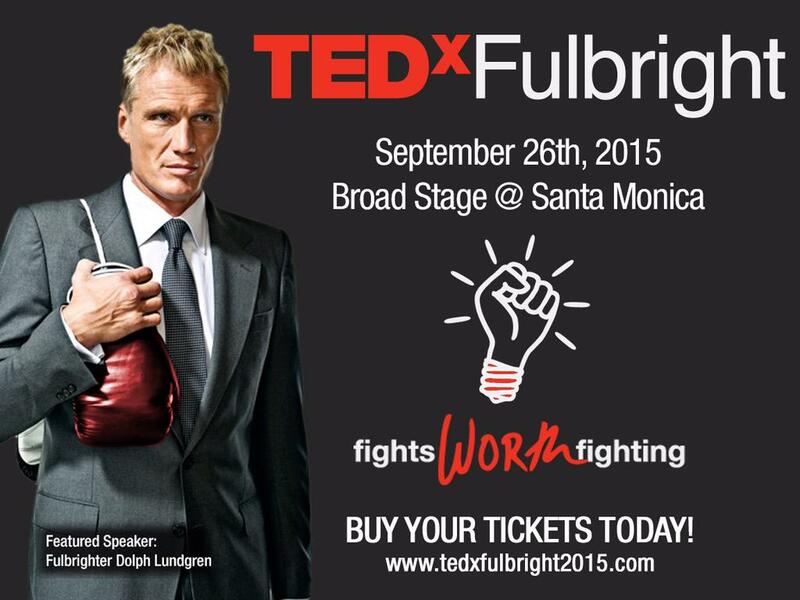 The Fulbright Association and the TEDxFulbrigh team are thrilled to announce special TEDxFulbright speaker: Dolph Lundgren who will be on stage in Los Angeles this September. Not only is Dolph a renowned actor… he is also a Fulbrighter. Best known for his performance in Rocky IV as Stallone’s Russian opponent Ivan Drago, Dolph has built quite a career as an international action-hero and starred in over 50 films. Equally impressive, is that he was awarded a Fulbright to MIT after graduating at the head of his class in chemical engineering at the Royal Institute of Technology in Stockholm. He also completed an exchange program with the University of Sydney. A highly accomplished author, athlete, actor and producer, Dolph is proud of his recent film Skin Trade on human trafficking that he produced, co-wrote and starred in to share his concern about this Fight Worth Fighting. Join us at the Broad Stage in Los Angeles on September 26 to hear Dolph talk about his Fights Worth Fighting. .
Dolph is a very good speaker. Relaxed, funny, moving and not overly sentimental. All these anecdotes that we the fans have heard many times before get filled with new meaning being put in context. He comes across as sincere. Not flaunting this to get sympathy. It's good that this story (which is the same one he told in his swedish radio program) is now told in english in this type of context. It really is a story worth sharing. What's news to me is that the guy was "miserable most of the time" for the longest period. He has come a long way, even since he first opened up about the abuse. Good for him! Brave. preacher wrote: It's good that this story (which is the same one he told in his swedish radio program) is now told in english in this type of context. It really is a story worth sharing. And he goes a bit further than he what he told back then since a few years went by and he also came a long way personally since. Wow. I didn't expect that. Very personal. It takes balls to go out there and say the things he did. 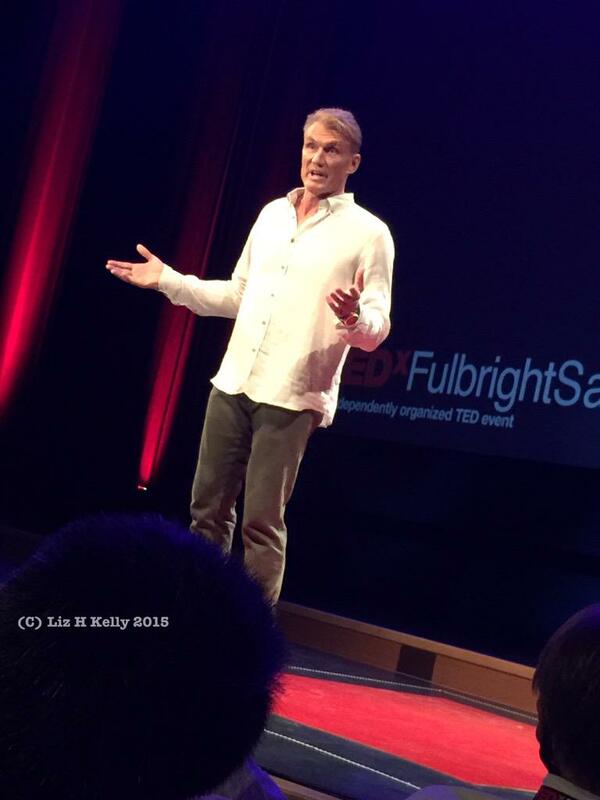 In the spirit of TED's focus on sharing “ideas worth spreading” and the Fulbright Association's promotion of “life long learning”, TEDxFulbright presented 17 speakers who spoke about their #FightsWorthFighting in this life changing event. During the last year of his masters, Dolph was studying engineering at the University of Sydney and worked extra as a bouncer (which helped him become “a pretty good fighter.”) He got hired to work at special events, which is where he met Jamaican singer Grace Jones. While living with Grace Jones in New York City, Dolph’s life changed forever. He went to Studio 54, and met David Bowie, Michael Jackson and Andy Warhol (who put Dolph in his magazine). Suddenly, Dolph was not excited to go back to engineering at school. Luckily, five years ago, two things happened to Dolph. His “buddy” Sylvester Stallone called about “The Expendables”, and he fell in love with a girl that he did not want to loose. As a result, Dolph took up therapy and meditation that “totally changed his life.” He also asked for forgiveness from his kids and ex-wife, and forgave his dad. When he came back to Los Angeles, Dolph reached out to CAST (Coalition to Abolish Slavery and Trafficking), and has been helping them ever since. 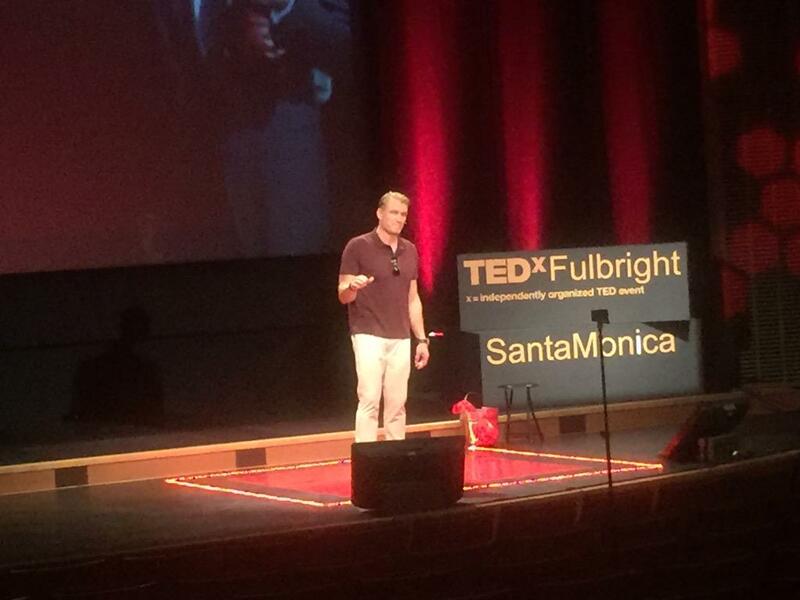 As the audience cheered, Dolph got very teary on stage and Speaker Coach for TEDxFulbright, John K Bates hugged him and moderated a post TEDxFulbrightSantaMonica talk Q&A. Here it is, if you haven't seen it it's a MUST SEE! 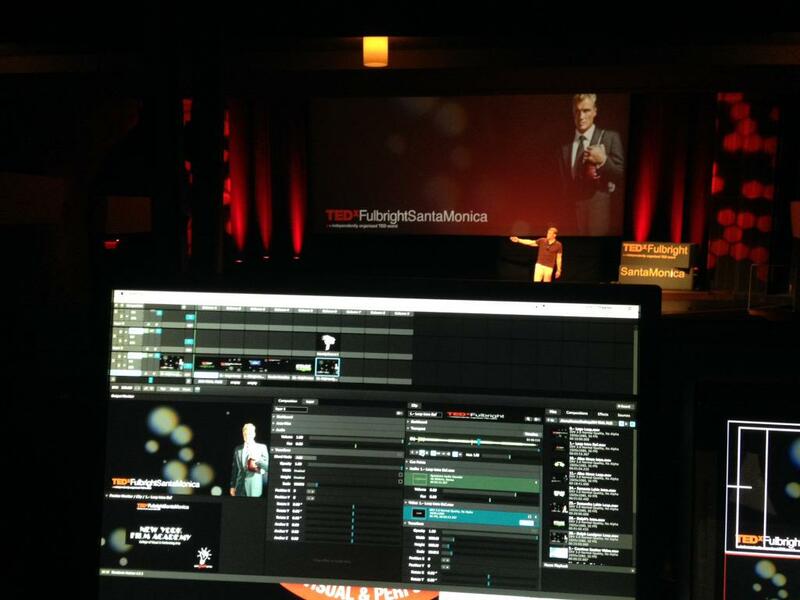 I just discovered today there's TedX events all over the world (and even in my "little" french town). A shame Dolph doesn't do a "TedxX tour"
I'm glad I had a small hand in making this event happen by not dismissing the invitation when it came in last January. Is the video online anywhere currently?